Wet suits will go from $10 to $15 for 1/2 day (4hrs) and from $15 to $20 for full day (8hrs)….All other rental prices will remain the same. A lot of beginner surfers ask us when is the best time to go surfing. 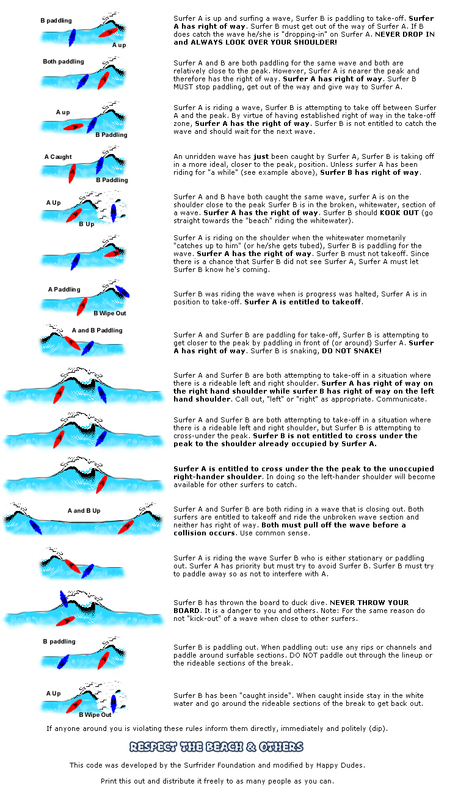 There are many factors that will affect surf conditions and the tide is a big one. For example , when the surf is small you want to go when the tide is low and coming in. 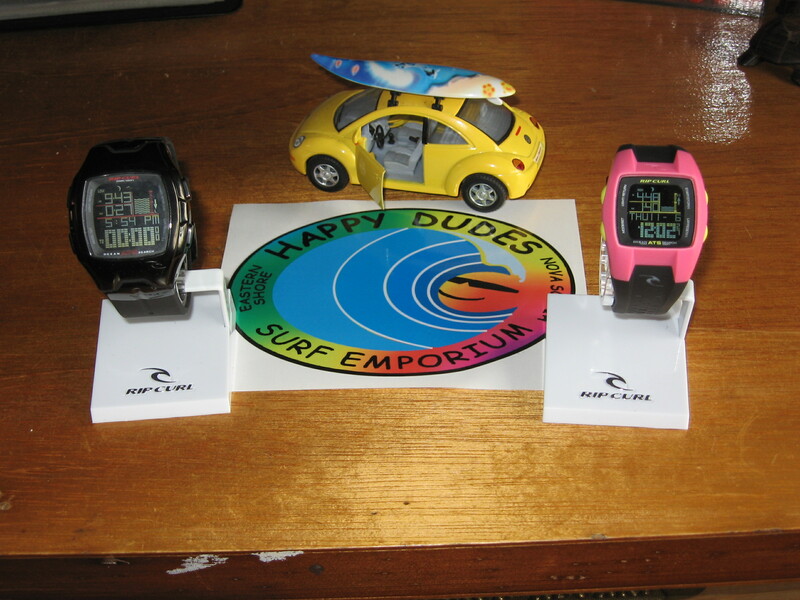 Now you will always know the tide with your new Rip Curl tide watch…. 5 year warranty and no they are not as big as a car ! NOW ALL WATCHES 40 % OFF !!!! Everything you need to surf is available for rent from Happy Dudes Surf Emporium either at the Shop (4891 Hwy 207) or the Mobile Rental Van – usually on site at the Lawrencetown Beach head bank. Wetsuits range from 3/2mm for warm water surfing (that’s usually August at L’town) to 5/3mm and 6/4mm for hard winter surfing when the water temps hover around zero. We have a range of sizes to accommodate all surfer wannabees — men and women, children and adults. Although the water in Nova Scotia can be cold, these wetsuits will keep you very warm during your lesson. Water walking? Have you ever wondered what it feels like to walk on water? Well, wonder no more… just learn to surf! The ocean is for everyone to enjoy in a safe and respectful manner. The last few years have seen a large influx in the surfing scene in Nova Scotia. So, let’s all follow a few simple rules to make each surfing experience filled with good memories and tales of surf for years to come. 1) Please drive slowly and carefully through inhabited areas and towns. Many coastal towns have small children who play in or near the streets and roads. 2) Respect the environment, do not litter and use the portable johns and full facilities available at many nearby beaches. 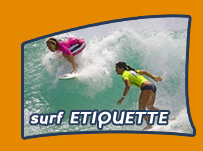 3) Respect the locals and the other surfers around you and learn the Surfer’s Code of Ethics (see below). 4) If you are a longboarder or a kayaker respect the short boarders and body boarders who are trying to catch waves further down in the break zone: let them catch more than “a few” waves. 5) When changing, use a towel. Remember . . . no one is proud of “shrinkage”. 6) If you’re a beginner, stay away from crowds or point breaks. It’s best to learn in the beach breaks. Here are a few sites to visit for surf and marine updates. If you know other good links, and don’t mind sharing, drop us a line at the end of this post. Happy Dude Interpretation: If period is over 8 sec — good , if wave height over 2 meters , ride-able. Please note, this is not always accurate !